God Brought Me Here For A Reason: Are You Ready to Host the Next Party At Your Home? Are You Ready to Host the Next Party At Your Home? Hosting a party right at the comfort of your home is a sure fun. Want to have an exclusive, close door reunion with old friends way back in College? Why not? Gathering of such kind not only reminisce the good old times together, it is also the right time to know each other's life update. When you will host a home party, you should prepare not only good food, but good ambiance as well! However, when you are already a Mom and a working type of Mom, preparing the house all by yourself can be tedious. Well, you can actually ask for some assistance from your family members who are willing and able but what if they too are pre-occupied as well? No, you don't have to cancel in hosting the party because there's one sure solution to every problem. And when it comes to cleaning up mess, BISSEL PowerGlide with Lift-off Technology is just the right answer. 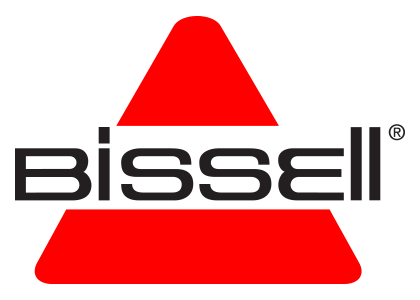 How powerful is BISSEL PowerGlide with Lift-off Technology? No loss of suction and sealed system- which means more convenient to use. 12-inch foot for stability - and durability! Included TurboBrush® and crevice tool- more value for what you pay! BISSEL is a trusted brand in home deep cleaning tools and you can be rest assured that all their products are all about durability and convenience. Cleaning up mess can be fun if you are using such powerful tool as BISSEL PowerGlide. So, whether you will be hosting a party, or just simply doing your daily cleaning routine, or cleaning up the mess left by your kids or your pets, just trust PowerGlide. Furthermore, PowerGlide is indeed a powerful tool because it also has the capability to clean up all those overlook dirts like those that are found in your computer keyboards, ceiling fans, vents, artworks decorations. Therefore, BISSEL PowerGlide is not just limited to floors anymore. It is so versatile that it could be your great assistant in tidying up your home in less time. Want to learn more about BISSEL PowerGlide with Lift-off Technology? Visit their facebook page and learn more home cleaning tips. Also, get a chance to win on their newest contest online: All you need to do is just simply enter to win their "The Celebrate Everyday Messes Contest". Plus, avail their products now for a $20 off with free shipping just use the promo code:POWERGLIDE valid until November 30, 2013. So, if you are a Mom and very much concerned about hosting a party, or very meticulous when it comes to cleanliness in your home or even in your cars, or just want to prepare your home for the upcoming Holidays by cleaning up your home decorations, do it all with ease with the help of BISSEL PowerGlide with Lift-off Technology.